Polona’s research interests focus on areas of Ethnology, Cultural Anthropology and Media Studies. She is currently employed as a researcher at the Institute of Culture and Memory Studies, where she also worked as a young researcher. She received her PhD at the Department of Ethnology and Cultural Anthropology (Faculty of Arts). In her doctoral thesis she was mostly interested in how women as consumers interpret and create interconnections between material objects, moral reputation and (self)respect. She analysed seemingly trivial objects of desire, which have not received enough research attention yet due to their obviousness. Her research interests primarily focus on anthropology of postsocialism, gender studies and consumption culture. She is also interested in the field of popular culture, especially in popular music and reality shows. - Political Boundaries, Consumption and Cultural Capital: Cross-Border Shopping in Socialist Slovenia. International Journal of Contemporary Economics and Administrative Sciences, 2016, 6 (1): 87–104. - In co-authorship with dr. Ana Hofman: ‘Buy me a silk skirt Mile’! Celebrity culture, gender and social positioning in socialist Yugoslavia. In: Social inequalities and discontent in Yugoslav Socialism. Rory Archer, Igor Duda and Paul Stubbs (eds.). London: Routledge, 2016, pp. 155-172. - The right step towards a womanʼs satisfaction? : washing machine as a new piece of technology and the construction of the role of women as housewives in socialist Slovenia. Narodna umjetnost, 2015, 52 (1): 143–171. - Analiza diskurza o spolu in razredu na primeru resničnostnega šova Ljubezen na seniku. Družboslovne razprave, 2013, 29 (74): 25–44. - Fenomen Laibach: nekoč preganjano seme zla, danes ugleden izvozni artikel. 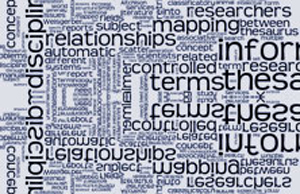 Monitor ISH, 2012, 14 (2): 73–107. - Vpliv pralnega stroja na gospodinjsko delo in prosti čas žensk v socialistični Sloveniji. Invited lecture at the Department of Ethnology and Cultural Anthropology, Faculty of Arts. Subject: Urban anthropology 2015. - Imagined futures of Europe through the perspective of the privatisation of public property in the former Yugoslavia. 25 years of reshaping borders in Europe, Berlin, 2014. - Gender, labour and (post)socialism: the integration of women in the public sphere in socialist Yugoslavia through the perspective of labour: 21. International conference of European Studies "Resurrections"- "Labor and Subjectivity in post-Industrial Europe", Washington DC, 2014. - “The drink of our and your youth”: the case of a local socialist brand in the era of globalization. Advertising and consumer culture, York: University, Humanities Research Centre, 2013. - “Italians looked down on us, but they had stuff”: cultural memory of cross-border shopping in socialist Yugoslavia after the mid-1960s. CCCS Conference "Cultural Memory", 2013, Skopje. - Ceepus (Central European Exchange Program for University Studies): 1. 11. 2013–30. 12. 2013: postgraduate studies (working on a doctoral dissertation), University of Zagreb, Department of Ethnology and Cultural Anthropology, Zagreb, Croatia. - Erasmus: 1. 10. 2010–30. 6. 2011: graduate studies (3. year of Communication – Media Studies), Universidade Lusofona do Porto, Porto, Portugal.